Complete Home Concepts offers a broad selection of fireplace options to match any lifestyle and décor – from traditional to modern, rustic to contemporary, indoor or outdoor, large or small; we’ve got the fireplace to fit your style. Relish the luxury and comfort that only a fireplace can give, no matter what your budget, we have the product to complete any space. Some of the world’s best names in fireplaces, stoves and inserts are available at Complete Home Concepts. Brands like Heatilator, Heatilator Eco Choice, Heat & Glo, Quadra-fire, SimpliFire, Harman, Outdoor Lifestyles and Montigo. We believe homeowners should have stylish, energy efficient fireplaces. Our fireplaces feature Direct Vent, Intellifire, Power Venting and Zone Heating technologies. 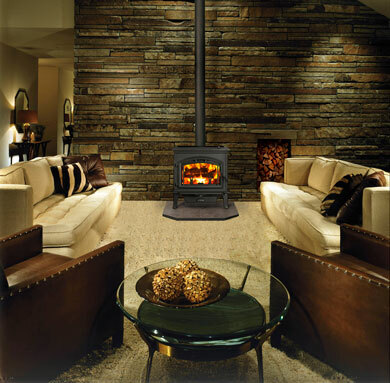 Find what fits your hearth at Complete Home Concepts! Gas fireplaces give you the look and feel of a traditional wood fireplace, with the modern convenience of hands-off, remote control operation. We offer best-in-class designs to add comfort and style. Wood fireplaces are ideal for adding a rustic and traditional flare. The wood fireplaces we carry offer a timeless look, combined with high efficiency and upgraded safety features. Outdoor fireplaces transform your outdoor space into a unique and fun environment. As one of the hottest new concepts in the housing market today, our options are sure to add value to your home. Whether it’s a pleasant summer sundown or a chilly fall evening, an outdoor fireplace is the place for family and friends to gather. We also offer fireplace inserts, stoves, gas logs, outdoor products, mantels & surrounds and fireplace accessories.